In an hour and a half, we made it to London by train, having travelled from Birmingham to Euston Station. I still remember the excitement of both Mum and I as we pulled into the station. We had finally made it to one of the world's best cities, and it was even better that we were there together! Arriving at The Langham, we were in complete awe of the hotel that we had chosen. 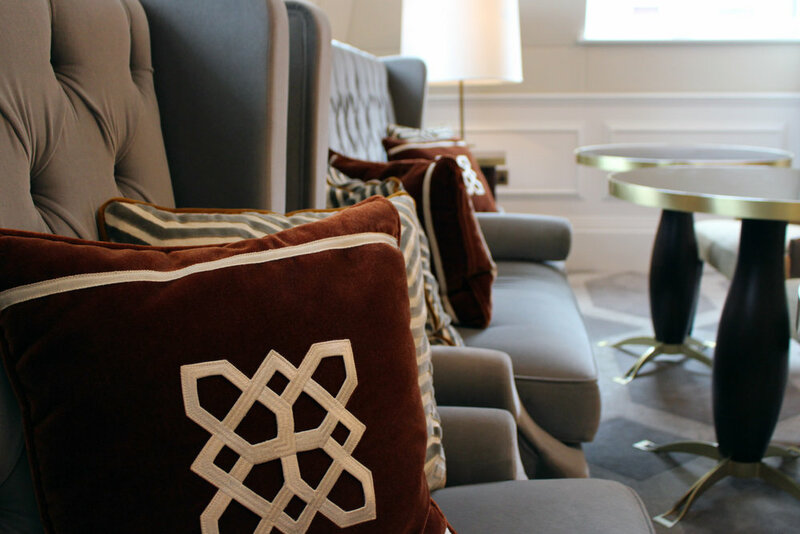 Not only does The Langham boast a central location, situated in London's West End on Regent Street, but its design was enough to impress. It was not too long until our room was ready, and it exceeded all of our expectations. The room was decorated in fine detail–even the bathroom breathed opulence with its marble floors and tiles. After settling in, we decided that it was time to explore the city. On our walk we enjoyed Summer Streets on Regent Street. The iconic street was free from traffic, and filled with pop-up shows and entertainment, the perfect way to enjoy a Sunday afternoon! Mum and I then headed towards Buckingham Palace where the skies were a beautiful blue. In all of its grandeur, the palace was just as iconic as we had imagined. We stopped to soak in the moment... Were we really in London right now?! Believe it or not, we had arrived in the middle of a heatwave, and to cool down from the London heat, we stopped for delicious gelato. Can you believe that it was gelato weather? Or rather, were people lying to us when they said London summers were cold? It was soon time to explore, and what better way to do so than to do a Hop-On Hop-Off tour of the city? On the tour we covered many of London's greatest attractions. Some of the highlights for us included Westminster Abbey, Big Ben, Belgravia and Old Bond Street. After enduring the blaring London heat, we indulged in some afternoon tea at The Langham Club. Think handcrafted desserts, scones and sandwiches created by award winning pastry chef Cherish Finden. Stay tuned for the next part of my London Travel Journal.